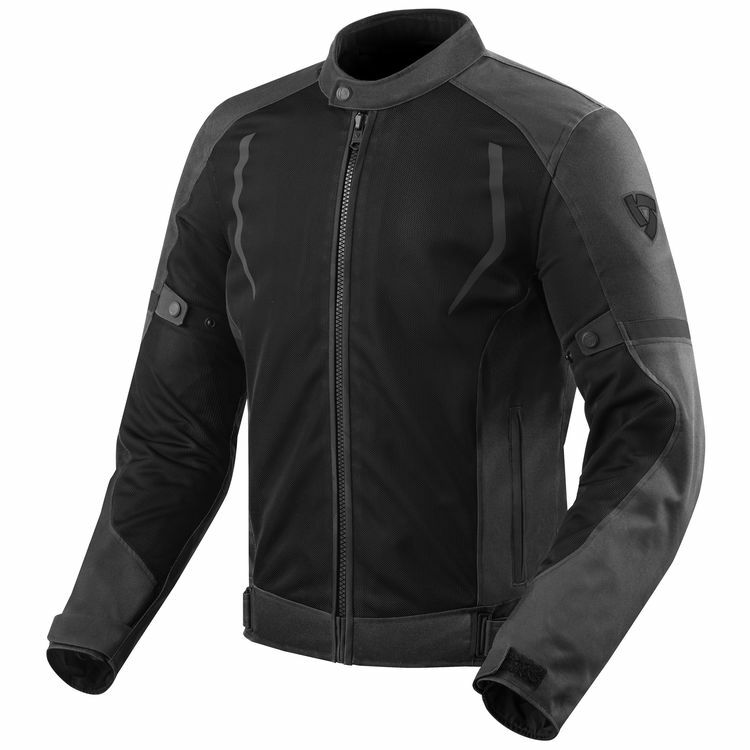 The Revit Torque Jacket takes on hot weather with ease. Mesh panels flow air to keep you cool and textile reinforcement protects you at the elbows and shoulders. A removable Hydratex liner keeps you dry when the weather doesn't cooperate. CE Level 1 SeeSmart armor soaks up impacts at the elbows and shoulders. A back protector pocket is ready to take an optional SeeSoft CE level 2 back protector to complete the impact protection. 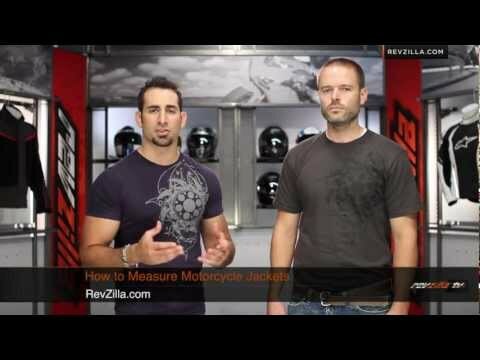 Make hot weather riding more bearable with the Rev'it Torque Jacket. Use - Street riding and sport touring. Fit - I'm 6'3" and 180 - tall and slim runner. I bought a medium. Fits perfectly through the body (39" chest, 32" waist). Keep in mind there is only velcro at the waist, no way to cinch it through the body. The sleeves are a touch short for me (not surprised). Quality - top notch material (mesh jacket that doesn't look like mesh). Aesthetic - Mine is the green camo and it's just enough detail to make it look different. Certainly not helping with visibility, but I count on the retina searing headlamps for that. Features - two side stash pockets are nice, as is the internal breast pocket for storing lip balm and glasses. Velcro closures at the sleeves work well, but would love to have a zipper so the velcro was a set-it-and-forget-it setup like the much less expensive Rocket's have. A little reflective - I have no idea how effective this is for drivers to see you. Can't hurt I suppose. Rain liner - both times I was caught in a deluge I didn't have it, so no review of that. It breathes very well as when I did have it in on cooler mornings, it did nothing to help keep me warm. It is a 100% snap in affair and the wrists and at the zipper, so give yourself a couple minutes to put it in or pull it out. Temperature Range - This jacket is a warm weather riding jacket only if you don't have any type of wind protection. Below 75F and you will be shivering, which is a testament to how well it works when its as high as 90F. This is an excellent summer jacket and I can't recommend it highly enough. It's comfortable, seems to offer protection where I need it, has armor in shoulders and elbows, and looks good. Read a lot of reviews about the different jackets out there, and found that this one ticked all the boxes. I was not disappointed after trying it for several months now. Just for your information, I live in Dubai and I've rode in temperatures up to 45 deg C (110 deg F). 1. Protection: The jacket has very good factory CE 1 elbow and shoulder protection. As per Revzilla's advice, I added the Seesoft Back Protection Insert for extra protection. - Inner liner: as temperatures in Dubai can vary between 10-50 deg C (50-120 deg F), I was looking for a versatile jacket that could accommodate this range and the fact that it comes with a removable inner liner greatly affected my choice. I am not saying that I do not sweat at all when it's 110 degrees outside, however the mesh really helps with ventilation. And with the liner, it's good enough for 50 deg F weather. Overall I love this jacket and I am extremely satisfied with the purchase. I purchased this jacket because it gets hot in Southern California. The style of this jacket is awesome. Air flow is awesome without the liner. There is no back protector which they should have included a foam one at least. I have 2 major issues. One is that if I ride over 65 mph and without a backpack the shoulder pads get stuck in the wind and it creates a lot of vibration buffer to my helmet. I have to pull down my jacket or hold the should pads for it to stop. I rode a passenger and the same issue happened. It is really bad; however, if I use a backpack there is no vibration. With a backpack I give this jacket a 4/5. The other issue is the liner it comes with. it blocks the wind for sure and since it water proof I'm sure it will stop water. The liner feels very cheap but when I used it. Also putting on the liner is a hassle. It is all buttons and not zippers. I feel like I will break the buttons really quick. Also, when I put on the jacket with the liner, the back side gets stuck in the arm opening. It is so annoying. If you don't care about the liner and just want it for hot riding with a backpack, then this is the jacket for you. If you don't have a backpack and will be using the liner a lot of the times, I do not recommend this jacket. Great, clean looking, nice fit. Airflow - feels like riding in t-shirt. (with liner out). Cant feel /see armor at all. Just to mention for others - there is almost no pocket room whatsoever. Maybe it matters for someone. I personally love it. Really dislike all those "100pocketcostumes"
I wonder who wrote the positive reviews. this jacket fits very tight with liner in place, I had to remove it.and back armor is a no go. Air flow is good at 50 mph and above but not good at all in slow traffic, would be non existent with liner in. I am 5 10 170 and got the size 52; 54 would be too long. I think the model (195#s) exhaled and was holding his breath wearing a 52,. too late to return already cut the tags. I bought this jacket so I wouldn't have to wear my heavy leather while commuting during the summer. Air flow is excellent. I wear business casual to my office and don't need to pack a second shirt to change into because I've sweated through my first one on the ride over. Basic pockets and adjustments, seems sturdy but I haven't gone down in it so its hard to say. I already bought the Rev-it back armor for my other jacket so the fact that it is interchangeable is nice. I'am 6'3, 175 lbs, and bought a large. Fits well enough in the sleeves and waist without being too boxy. Probably about as good as a fit I could get on an off the shelf item. Personally I love the camo, but that's just me. I will say the green camo "pops" a little more in person than in the pictures, but its not too in your face. This is a great mesh jacket. I bought it based on my waist size but am glad I did as I am stocky. This jacket flows air like you are not wearing anything over your clothes. The included armor is light and low profile, you don't even notice it. The one thing I wish they had included was a second internal pocket. It has two hand warmer pockets and a single internal pocket on the right hand side. I am always running out of space to stash my home keys, work keys, work badge, cell phone, ear plugs, and Sena 20S. An extra pocket would have been greatly appreciated. I'm 6'2 and ~195-200lbs with a 43-44in chest and 34in waist. This jacket fits snug in comfortably snug in the chest, which is what I was looking for. Mobility is great, and overall it feels well-made. I love the zippered pockets, and the interior pocket is convenient as well. This is great jacket if you're looking for something that flows a lot of air. I've been riding in some hot weather recently, and this keeps me feeling cool. There's plenty of mesh all over the jacket torso and sleeves that keep the air moving in and out. I haven't ridden with the liner in yet, but it was easy to remove and reinstall. -The zipper pull is on the left side. It may not make a difference to most people, but all my other jackets have the pull on the right side. -I would prefer a front exterior pocket, but that's purely personal preference. -The shoulder armor pieces can catch in the breeze when riding at a certain speed and start flapping / hitting against my shoulder. Changing my body position slightly stopped it, but it can be a little annoying. a jacket that is so light you can not even feel it. The ventilation is excellent, the air flows smoothly, even with back protector, which is sometimes uncomfortable, because the jacket is so thin that the hunchback of notredame looks like his brother. should have the ziper connector, there are two strips that are efficient but uncomfortable to put. The cover of hydratex to put in is very efficient in the rain, but if it gets hot it becomes too hot, to take it very fast, and well folded it fits in the pocket of the jacket. Anyway, an excellent option for a very warm summer, hot winds, at a price that is more than economical for what it offers. highly recommended. How do the numerical sizes in the fit chart align to the small/medium/large/etc.? BEST ANSWER: I have a 38 inch jeans waist, 42 chest, so I went with a XL and I am glad I did. The upper part is slightly loose but still looks good. You can find the corresponding fit chart alignment sizing on the Rev'it! website. Why should i pick this up over the Airwave 2 or Vertex Air? BEST ANSWER: I would look at the video reviews. I would say the cooling liner inside that can be removed is the part that is not on the other two. But it's about what you like. The fit is larger, more relaxed than the Airwave or Vertex; more relaxed. Also comes with a rain liner. Are the shoulder & elbow pads/protection removable? How accurate is the size chart? I wear medium in most American brands but the size chart says to get large. BEST ANSWER: 6'0" , 185 lbs. 32" waist. Slim build small stomach bump. I'm not a six-pack owner but I'm fit by most standards. I buy large jackets. I bought a large because the fit chart says I fall into the Large braket. Fits great. If this helps, I'm 6.1 feet, 195 lb( 34 waist and 46 chest athletic build) and a XL fits me well. To add - I'am skinny build, 6'3 and 175, 32 inch waist. Went with the large and it fits well. Mine fit well. My chest size is about a 44, and the XL fits me snug. That's a 44 inch, not 44cm btw. Can the elbow and shoulder armor be upgraded to CE level 2? BEST ANSWER: Yes, All armor is removable. Does not come with back armor but you can buy one for it. Is the liner a vest or full sleeve? Is mesh any good in a crash? BEST ANSWER: No, mesh jackets are not the best protection. They tend to break apart fairly quickly; however, it is better than no protection. For the Green Camo jacket, is the red/orange accent color red like the photo or orange like the video? BEST ANSWER: It is definitely red, not orange.